As a certified Keto Reboot coach, you’ll inspire, educate, and create beneficial lasting results in a healthy and positive way. 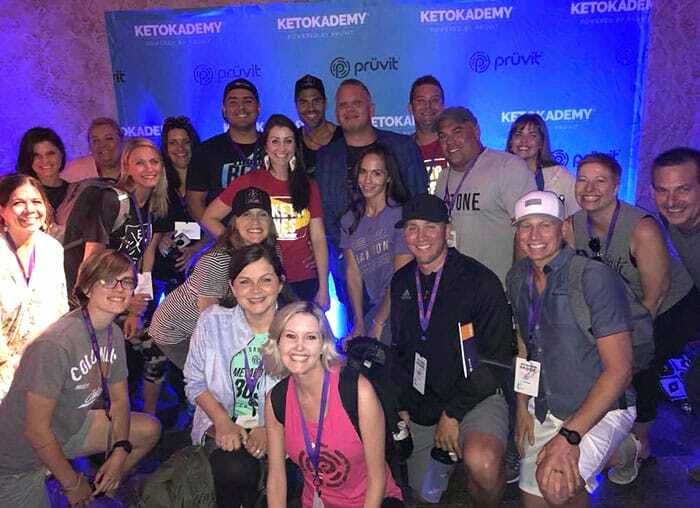 By experiencing firsthand how Pruvit’s ketone-based products work synergistically within the 60 Hour Keto Reboot and Optimization, you’ll be prepared to guide participants through their own metabolic journey. Being a certified Keto Reboot coach means you’ll be there to help others to continue living out a healthy ketogenic lifestyle. You’ll help them achieve more mental focus, clarity, and a metabolic system that is ready to burn fat for fuel! What are the benefits of becoming a certified Keto Reboot coach? When you become a certified Keto Reboot coach, your contribution becomes currency. Whether you are a professional fitness trainer, a stay-at-home mom, or simply someone who wants to help others; you make the Keto Reboot what it is. Your confidence will inspire people to become the best that they can be. Be proud of the title you hold, as you are the authority on the Keto Reboot and Optimization. Support and daily coaching updates from the corporate Keto Reboot Facebook community. Access to Pruvit specialists to answer your technical questions. Keto Reboot Coaching and User Guides (digital format). The Keto Reboot Kit (KETO//OS Max, KETO//KALM Tea, BETTER//BROTH, and SIGNAL//OS). Get paid commissions for each coach or participant you sign up into the Keto Reboot program. As a professional trainer, gym owner, ect, you can diversify your services for clients by offering the Keto Reboot program. Don’t pass up on this opportunity to make a healthy and financial impact on your life, and the lives of others! Ketones are making an impact around the world! When compared to other diets and products within the health and supplement industry, “Keto” is currently the most frequent global search term on Google; and continues to rise! How do I become a certified Keto Reboot coach? 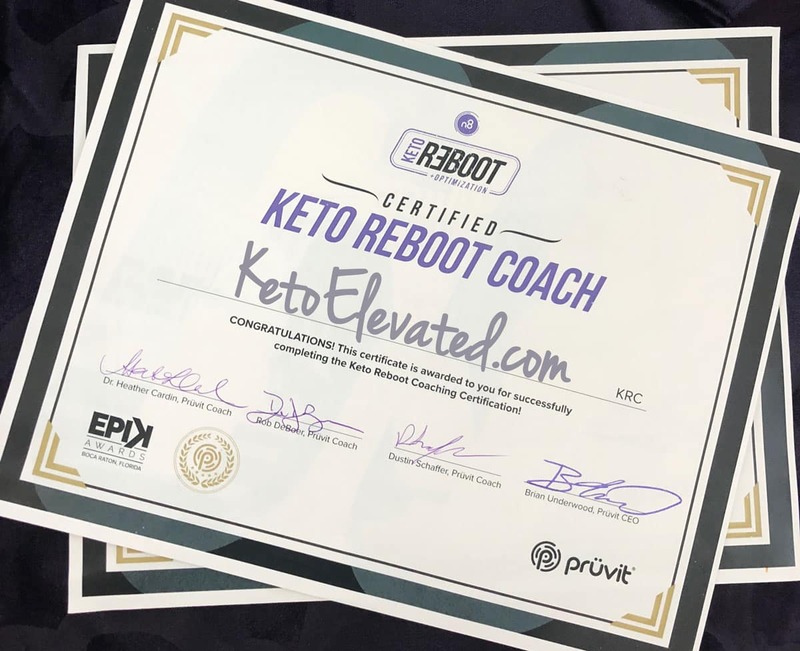 The Keto Reboot coaching program is currently in a beta launch and only available to a limited amount of qualified participants who have earned a certification via Pruvit’s KetoKademy event. In order to get a certification, you need to be authorized by an already certified Keto Reboot coach. We at KetoElevated.com have already gone through that certification process. Fill out the form below to be added to our Keto Reboot Coach VIP List, and we’ll make sure that you are first in line to become certified as soon as the program moves into public launch! BUT FIRST – Order your Keto Reboot Kit and experience the power of ketones! 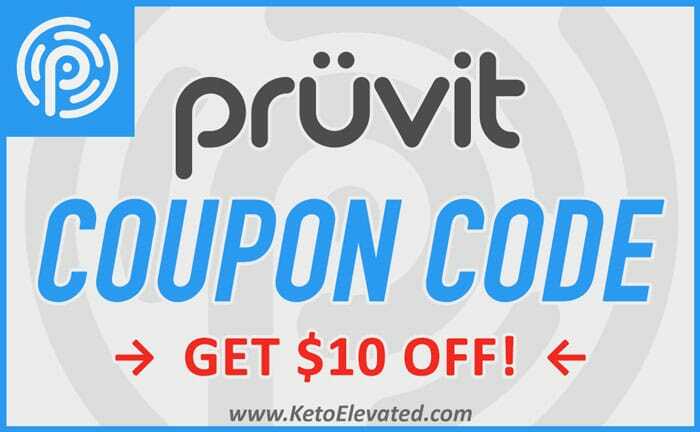 Disclaimer: The information provided by Prüvit Ventures, Inc. relating to the 60 Hour Keto Reboot is for informational and educational purposes only and, any use thereof, is solely at your own risk. The 60 Hour Keto Reboot coaching strategies should not be applied unless a complete examination by a qualified health-care professional has first confirmed that the health condition of the individual can tolerate the related programs and goals, and support the enhanced metabolic performance. Keto Reboot coaches are encouraged and expected to follow the Facebook Guidelines to ensure a safe and welcoming environment for all participants. Hello! Great question. I’m assuming you are asking about who is the face behind this website? It’s not just one person. KetoElevated.com is made up of a team of individuals who are dedicated to the keto lifestyle, and several of us are certified Keto Reboot coaches.